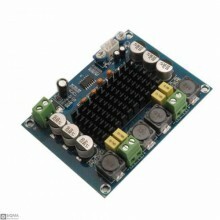 Features:Type: PAM8403 Amplifier Board Output Power: 2 x 3W Operating voltage: 2.5V-5.5VSp.. 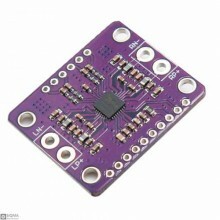 Features:On-board LM386 ChipGain= 200.On-board speaker wiring block.On-board 10K variable resistor, .. Features:1. 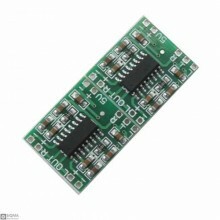 Type: CJMCU-8006 Board 2. 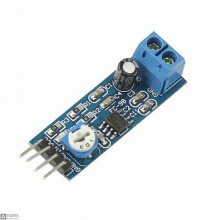 Size: 35mm x 30mm3. 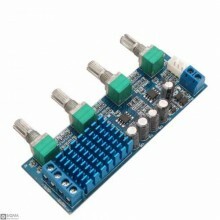 The CJMCU-8006 is a 10W (per channel).. 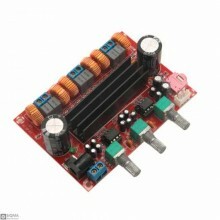 Features:Onboard TDA2030A audio power amplifier chipMono 18 w power amplifier circuit design.Socket .. 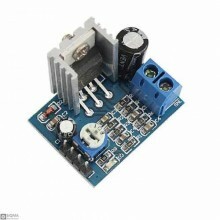 Features:Product Name: 2.1 channel audio amplifier board Power supply voltage: DC12-24V Ou..
FeaturesModel:XH-M189Digital Power Amplifier BoardAudio Type: TPA3116D2Input Voltage: DC 5-24VOutput.. 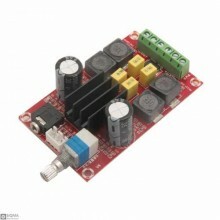 Feature:Product Name: TPA3116D2 Digital Power Amplifier BoardProduct Type: XH-M543Supply voltage: DC..
parameters:Input voltage: 24V DCinput current: more than 5Ainput impedance:1KΩMagnification: 45 time..